Nearly all nonprofit marketers would benefit greatly by taking one month to power up their content marketing programs. That’s a logical conclusion based on the responses from 207 nonprofit marketers to the eighth annual Content Marketing Institute/MarketingProfs content marketing survey. Thirty percent of nonprofit marketers neither agree nor disagree that they can demonstrate that content marketing has increased the number of people helped or served by their organization. Almost one-fourth (23%) neither agree nor disagree they can demonstrate content marketing has increased event attendance/participation. And 17% don’t agree or disagree that they could demonstrate content marketing has increased audience engagement. Almost half (49%) neither agree nor disagree they can demonstrate how content marketing has increased fundraising. And more than one-third (35%) neither agree nor disagree they can demonstrate how content marketing has increased donations/sales. That’s a lot of apathy about demonstrating content marketing’s impact on nonprofit organizations. If you’re going to invest the resources in content marketing, shouldn’t it have a demonstrable effect on your organization? After all, do you know a nonprofit that doesn’t need money, people, or both? If you struggle with any of these issues, it’s time to elevate your critical thinking around content marketing. And, in turn, create – or improve – the effect of content marketing within your nonprofit. A mission is your org’s reason for existing. A purpose is the way to implement that mission, says @AnnGynn. #Content’s strategic purpose: Priority outcome + priority audience + priority audience’s needs @FusionSpark. One of the biggest opportunities for content marketing to have an impact on the organization is to get the content marketing team to think (and operate) outside the marketing silo. 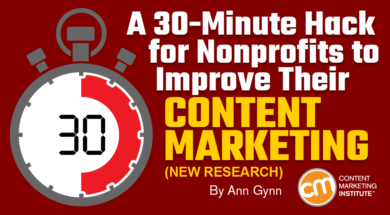 Results-oriented #nonprofit content marketers connect with the development team, says @AnnGynn. What’s the difference? Fundraising and donations often fall under the responsibility of the development or advancement team, while marketing is more often responsible for the organization serving more people and increasing event attendance/participation. A similar disparity in for-profit companies exists between sales and marketing. As Jonathan Franchell writes in 10 Ways Sales and Marketing Teams Can Work Together, too many companies create silos – one for sales and one for marketing. But for-profit businesses see bigger revenue when the two work together. The same likely could be said for marketing and development teams in the nonprofit world. If the two teams work together, fundraising can increase. Reflect on how marketing and development teams can work better together in your organization, then set up a series of meetings within the month to work on your content marketing strategy. TIP: In smaller nonprofits where marketing and development are done by the same team (or same person), it’s still extremely helpful to walk through these steps to ensure that content marketing has a bigger impact on the organization’s fundraising. How many people give to the organization? What is the range of donations in dollar figures? Who are the five biggest donors? Who are the longest-giving donors? What are the reasons these donors support the organization? What donor characteristics are most likely to predict support? Enough information to conduct some research to create a list of potential audiences and pick a few of the top donor audiences (also known as personas). TIP: Pick a manageable number of top audiences to be reviewed. If you create a laundry list of all potential audiences, your next meeting won’t be productive. At this gathering, give the development team detailed descriptions of three recommended audiences. Explain the reasoning and research behind each recommendation, and listen to the development team’s feedback. Ask the development team to pick the most important audience. Depending on the environment, you could ask each team member to cast a secret ballot and tally them during the meeting. Agree on the most important audience. With your audience determined, now it’s time to understand better what the development team wants from this audience. While some of this information may have been covered in the previous two meetings, it’s important to go through the development goals – calls to action – for this audience in detail. During this conversation, ask questions to learn why these are the goals and how they are related to the development team’s overall purpose. 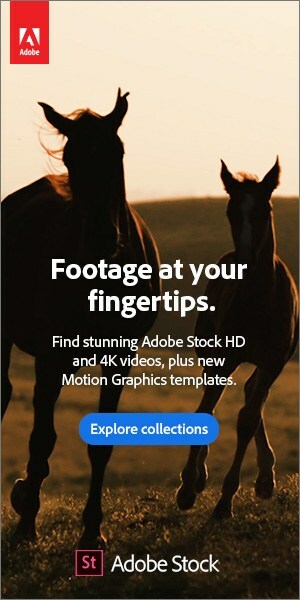 Learn how the team is or has been connecting with this audience. For example, does the development team have its own email communication with these people? Does development host events for this audience? Figure out how this audience already connects with the development team and your organization. After collectively identifying the top donor audience and understanding how the development team operates and communicates, it’s time to agree on how your nonprofit will use content marketing to engage that audience in a way that’s interesting to the audience members and beneficial to your organization. Update your editorial mission statement (or create a new one) for this audience to reflect development’s needs. Then present a draft editorial calendar identifying how your organization will use content to connect with the priority donor audience. Your calendar should highlight content topics, formats, distribution channels, and promotion plans. Interestingly, only one in four nonprofit marketers whose organizations have become more successful with content marketing attribute that success to a budget increase for content marketing. What does that tell you? Don’t give up on content marketing – just do it better. And start with the 30-minute hack to identify your nonprofit’s why and how. Then take 30 days for a bigger fix and bridge the silos between marketing and development to improve your content creation and distribution, and to make content marketing a greater priority across the organization. Let us know how it goes. Have an idea on how to improve nonprofit content marketing success? Share in the comments. Improve your nonprofit content marketing skills at Content Marketing World. Plan to attend the nonprofit industry lab on Sept. 7. Register today for best available rates. 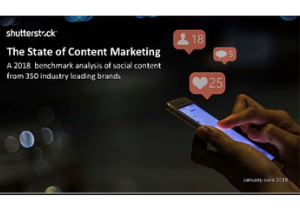 The post A 30-Minute Hack for Nonprofits to Improve Their Content Marketing [New Research] appeared first on Content Marketing Institute.